Bird records sent to the Friends of Weir Wood are forwarded to the Sussex Ornithological Society (SOS) as contributing to the county records. 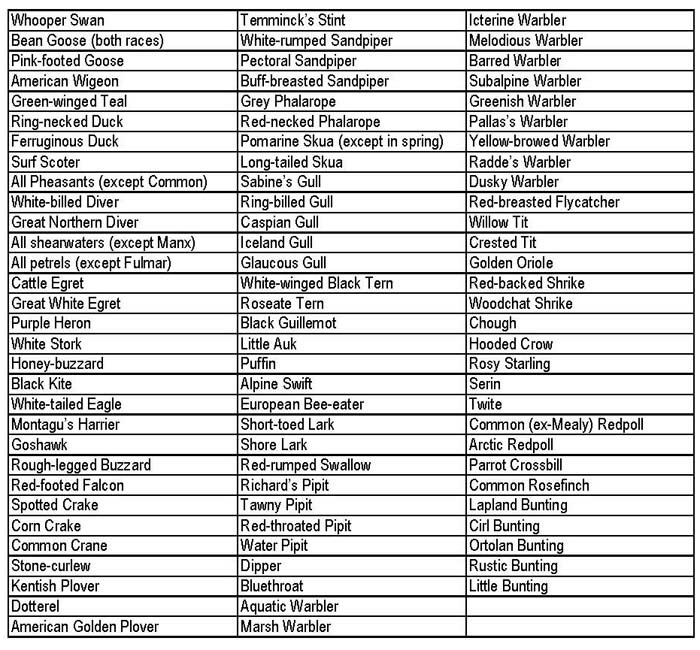 Therefore we ask that descriptions be provided for all unusual bird records as summarised below. Please use the rare bird reporting form. Further information can be obtained from the SOS Website (accessible from our “Links” page). Photographic submissions should be accompanied by full details of the sighting (location, time, observers, etc.). The SOS may require additional details to be supplied by the observer. In addition, descriptions are required for all races other than the normally occurring one including; Black Brant, Baltic Gull, argentatus Herring Gull, Kumlien’s Iceland Gull, Scandinavian Rock Pipit and Yellow Wagtail (except ‘Blue-headed’) but excluding Pale-bellied Brent Goose, intermedius Lesser Black-backed Gull, White Wagtail and Greenland Wheatear. Descriptions are also required for any species seen on a date outside the range of historic first and last dates for migrants as published yearly in the SOS Bird Report and on the SOS Website. It also should be noted, however, that the following species, or any other species seen in unusual circumstances or on an unusual date, may, at the discretion of the SOS Recorder, require a description; Inland divers, Red-necked Grebe (inland records), Black-necked Grebe, Manx Shearwater, Shag (inland records), Bittern, Spoonbill, Egyptian Goose, Ruddy Shelduck, Red-crested Pochard, Hoopoe, Wryneck, Waxwing, Cetti’s Warbler, Great Grey Shrike and Raven.